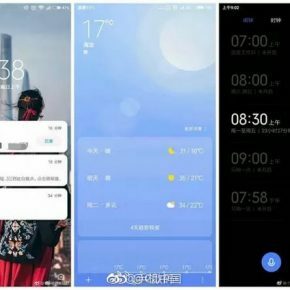 Xiaomi will launch the Mi 8 at an event in China on May 31, where the company will also introduce the next evolution of its custom Android skin, MIUI 10. 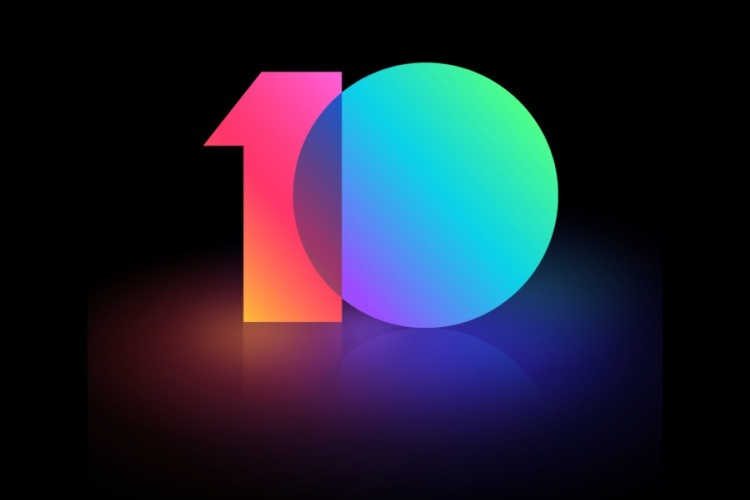 Ahead of the launch event, Xiaomi has already started the registration process for the closed beta testing of MIUI 10, however, it is limited to users in China only. 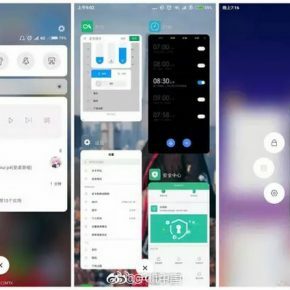 But thanks to a few leaked screenshots, we now have our first look at what the MIUI 10 will bring, both aesthetically and functionally. 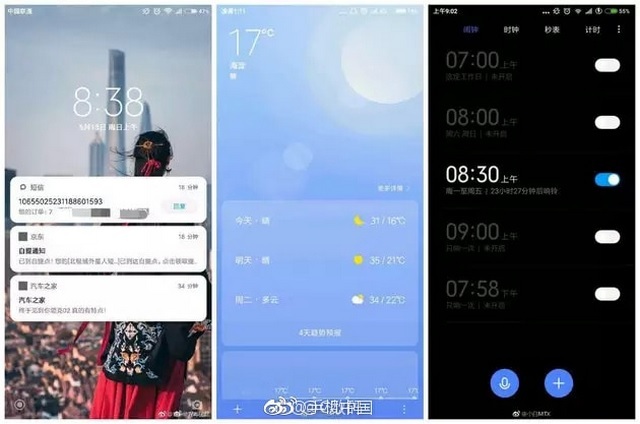 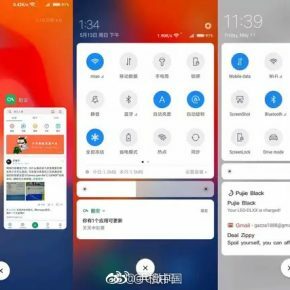 Technocodex has obtained images of the MIUI 10’s interface which shows that the next version of Xiaomi’s custom Android skin will borrow a few elements from Android P, such as floating window and gesture support. 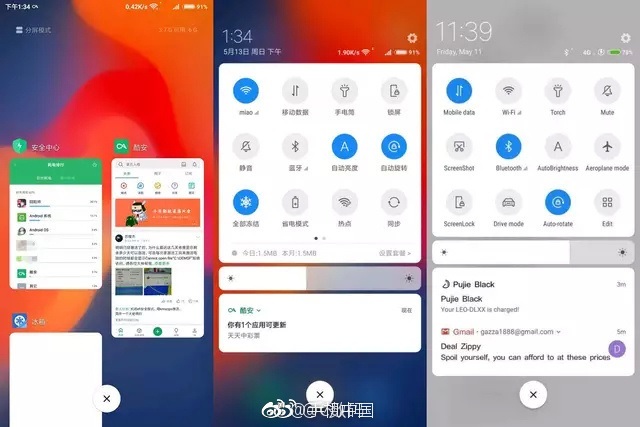 One of the first things that you’ll notice in the leaked MIUI 10 screenshots is the massive aesthetic overhaul, evident by a new color scheme and style, which extends to the shape of icons and use of rounded rectangles in UI elements. 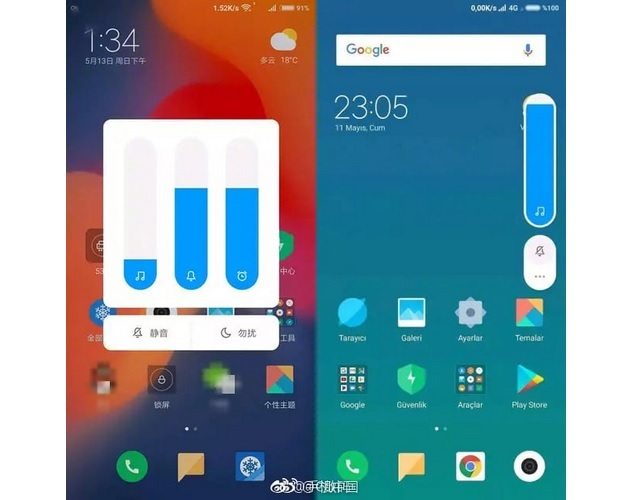 Needless to say, the inspiration here is clearly Android P. Moreover, another notable feature is the addition of navigation gestures, something which was introduced by Android P.
The volume adjustment bar is now in the shape of an elongated pill aligned vertically on the right side of the screen, while sound controls for notifications and alarms also look different. 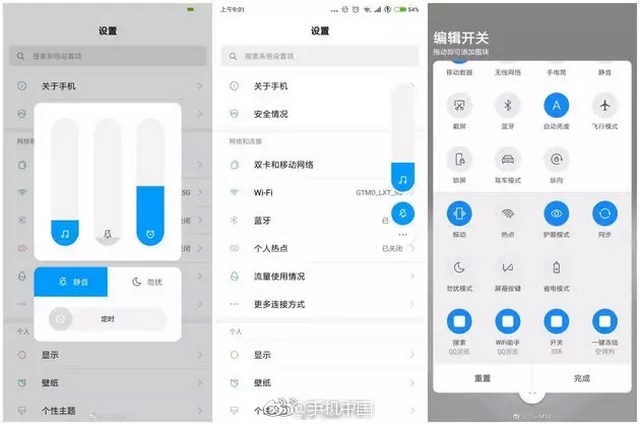 Earlier, users had to tap the ‘down’ arrow after pressing the volume down button to open the tray and access the three volume control sliders, but in MIUI 10, the controls will appear in a similar pill shaped style inside a white box at the center of the screen. 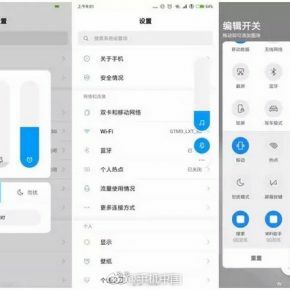 One of the leaked screenshots also shows the complete list of Xiaomi devices that are expected to get the MIUI 10 update. 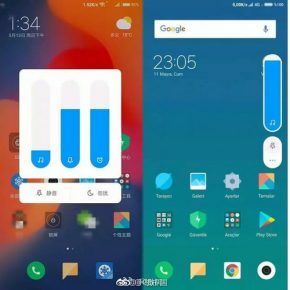 The devices include the Mi 6, Mi 5/5s/Plus, Mi 4, Mi 3, Mi 4s, Mi 4c, Mi MIX, Mi MIX 2, Redmi Y1/Lite, Mi Note 2, Mi Note 3, Redmi Note 3/Pr, Redmi Note 4/4X, Redmi 5A. 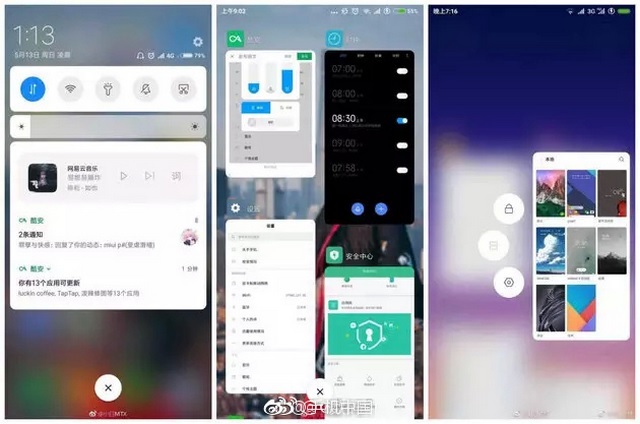 Redmi Note 5A, Mi 5X, Mi Max, Mi Max 2, Redmi 4/4X, Redmi 4A, Redmi 3/3s/Prime, Redmi Pro, Redmi 3x, Mi Pad 3, Redmi Note 5 (Pro), Redmi S2, Mi 6X and the Mi Mix 2S.